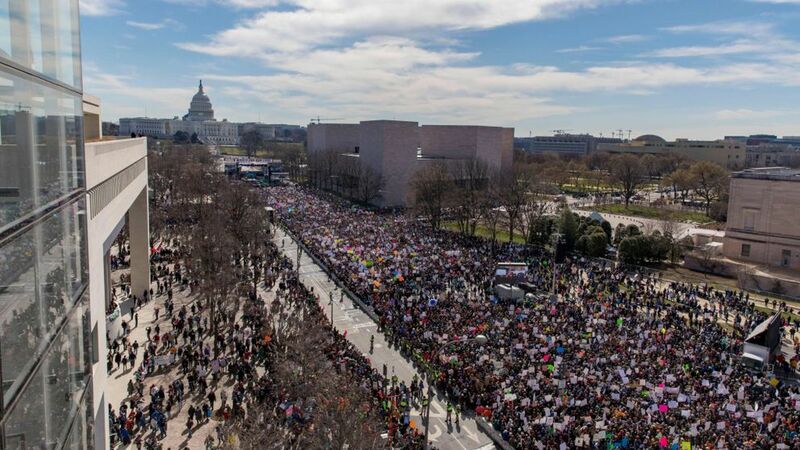 Survivors of the deadly shooting rampage at a Parkland, Florida, high school are leading thousands in a March for Our Lives on Washington DC, delivering their impassioned pleas for stricter gun control law to the nation. The movement started in the aftermath of the massacre with media appearances by student survivors such as Cameron Kasky and Emma Gonzalez, has drawn celebrity support. The main event began at noon, with participants gathering hours earlier on Pennsylvania Avenue near the US Capitol. As the crowds showed up Saturday morning, the turnout seemed to portend a massive standing-room-only rally. Hundreds of sister marches were planned across the country and around the world as students, teachers, parents and survivors of school shootings take their defiant message against gun violence to the seats of power.